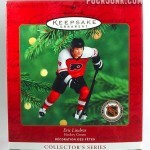 If there was ever a hockey card that made me both laugh and vomit at the same time, this would be the one. 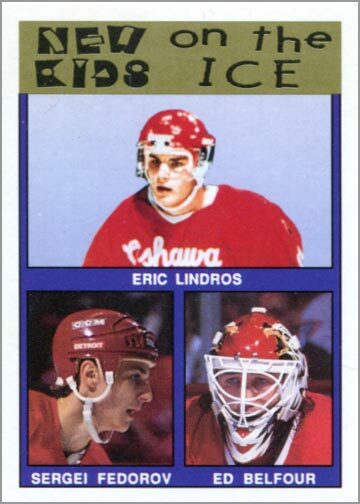 Entitled “New Kids on the Ice,” this bootleg card pictures Eric Lindros, Sergei Fedorov and Ed Belfour on the front. Those players remind me of hockey in the early 1990s, which in turn makes me smile. 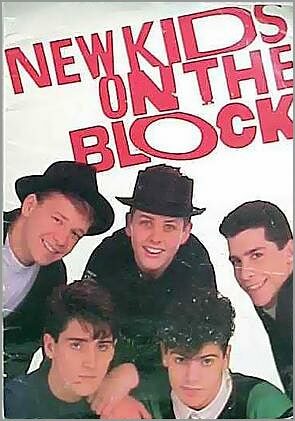 But the title at the top is an obvious reference to the popular boy band of the time, New Kids on the Block. And that makes me nauseous. Hence the dual feelings elicited by this fake card. 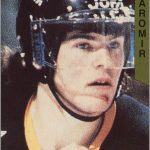 The most dominant hockey prospect since Mario Lemieux in 1984. 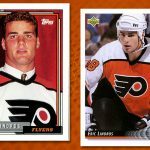 Many NHL experts consider Lindros to be a more physical, dominant player than even Gretzky or Lemieux. 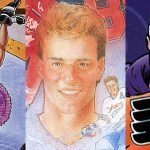 The 1990-91 scoring leader among NHL rookies. 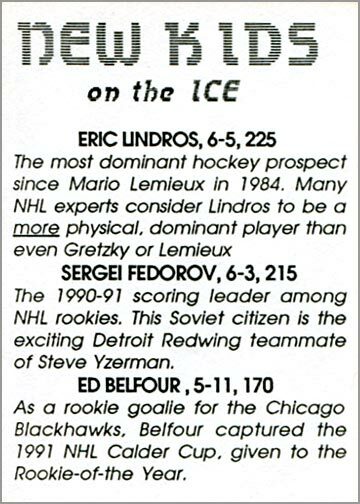 This Soviet citizen is the exciting Detroit Redwing [sic] teammate of Steve Yzerman. 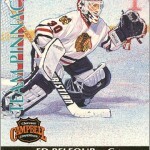 As a rookie goalie for the Chicago Blackhawks, Belfour captured the 1991 NHL Calder Cup, given to the Rookie-of-the Year. Whoever printed this card up in their basement spent all their energy coming up with a pun-for-a-title instead of doing a little fact-checking. Last time I looked, “Red Wings” was two words, and the “Calder Trophy”–not “Cup”–is awarded to the NHL rookie of the year. Still, all three of these players had the right stuff, and enjoyed long and successful NHL careers. 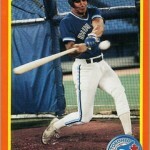 I’ll go with Vomit..that card is hideous and part of the reason we have people today thinking their junk wax is gold. Hah, I had never seen that. Awful card, but great post.